There are many benefits of strength training when it comes to living a healthy, active lifestyle. 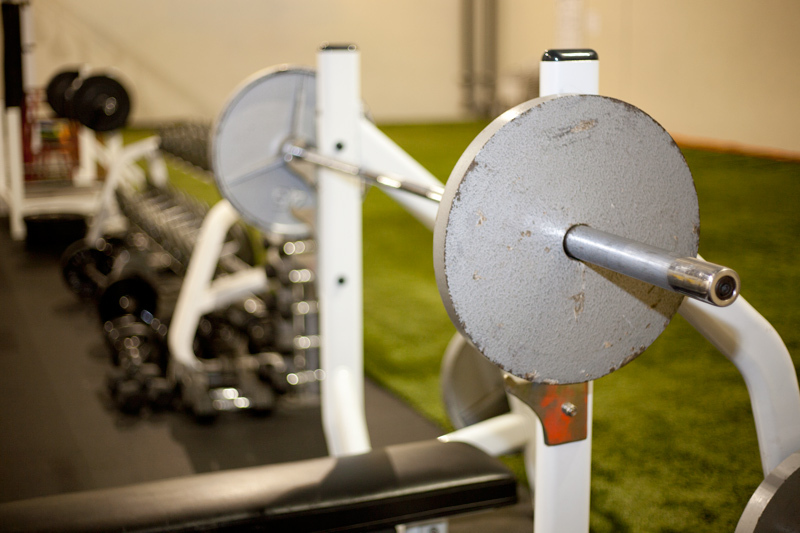 Strength training isn’t just all about building or obtaining a bodybuilder-like physique. The average, everyday person can benefit from strength training – regardless of age or fitness level. Yes, strength training can help you to tone up. Strength training can also help to stop bone and muscle loss and may be beneficial for those with arthritis and heart conditions. Are free weights better exercise machines? This question is very popular for experienced exercisers very dedicated to health and fitness. For purposes of beginning an exercise program you should keep safety as your number one priority. Machines typically provide a degree of safety, if you are lifting something heavy and you get too tired to lift it during your first time or a repetition, the then machine will keep the weight from falling in a dangerous manner. If you do want to exercise with free weights then make sure to always use a trainer or at least a spotter. By strength training, you can help to increase balance and flexibility while preventing muscle pain and reducing your risk for bone fractures. Before you grab a pair of dumbbells and get started, here are some things you should know. This is one case were you can actually benefit from fatigue. In order to build strength, you need to reach momentary muscle fatigue – this is the point where you can no longer perform any more repetitions of an exercise without sacrificing proper lifting form or you may just become too fatigued to complete the exercise in the first place. Rest is important for anyone planning on engaging in a strength training program. A few sessions of strength training per week is great. However, so is a recovery period. You need to give your muscles time to rest and rebuild before continuing with your strength training program. It is important to allow yourself 48 to 72 hours between strength training sessions. This is for your safety. Additionally, allow two to three minutes of rest between each set of repetitions you complete. Understand that there is more to strength training than just picking up a pair of dumbbells and beginning to lift. There are plenty of options for strength training – these options can include: Pilates, yoga, body weight exercises, resistance bands, exercise balls or checking out what the weight room at your gym has to offer. Always warm-up before and stretch after your strength training sessions. Before strength training, warm-up with five minutes of jogging, elliptical machine use or jumping jacks – you can also opt for any type of activity that gets your heart rate up. Stretching after is important in helping you to stay flexible and prevent injury. This exercise can help to strengthen you core muscles along with your legs. Start by lying flat on your stomach – you can do this on a bench if getting down on the floor is too uncomfortable for you. Lift up onto your forearms and knees. Keep your knees slightly bent and your back parallel with the ground. Once you achieve this position, hold your abdominal muscles tight while moving your elbows and knees inward towards each other. Hold this position as long as you possibly can. This exercise will work your upper abdominal muscles. Lie flat on your back – on a bench if you are unable to comfortably exercise on the floor. Your legs should be extended with your knees bent and your feet flat on the ground. Once you are in this position, reach and grab one of your legs by wrapping both arms around your knee. Bring your knee to your chest and hold this position. Repeat with the opposite leg. Crunches are abdominal wall exercises that help strengthen your core. While crunches will not reduce stretch marks nor eliminate sagging skin, they will increase your core strength. Your legs can be elevated or placed on the ground with feet flat and knees bent. Folding your hands behind your head may strain your neck or back. A better way to hold your arms is in the shape of an X in front of your chest. How can you reduce flabby arms after bariatric surgery? The upper arms are typically a common problem area after massive weight loss with bariatric surgery. Like other parts of your body, there is only so much that exercise can do for the excess skin. Weight training can help firm the area and somewhat reduce the appearance of sagging skin, however if you are older and have lost more than one hundred pounds, then surgical arm contouring might be required. The upper arms are largely powered by two different muscle groups. The back of our arms, the area where sagging skin is typically the problem, is powered by the triceps muscle. The triceps is used for pushing away and straightening the arms. The biceps are the opposite. They are used for pulling things toward your body such as doing a pull-up. The biceps gets its name from the face that it originates from the scapula in two different places. The muscle group has two-heads. The biceps are used primarily to move the forearm towards the shoulder when you flex your elbow. This movement is the standard biceps curl. The average bicep on a human male weighs less than one pound. This is a very low amount of your total weight in muscle so you can consider concentrating on other areas. Tricep exercises may only minimally help the appearance of sagging skin below the arms. Triceps are important muscles for pushing and performing physical activity with your upper body. Be sure to alternate which hand you place on the top when performing exercises with weights. The triceps make up the largest muscle group on your arms and therefore working them out can help provide upper arm definition. The triceps gets its name because it has three connections with your humerus, scapula and arm bone called the ulna. 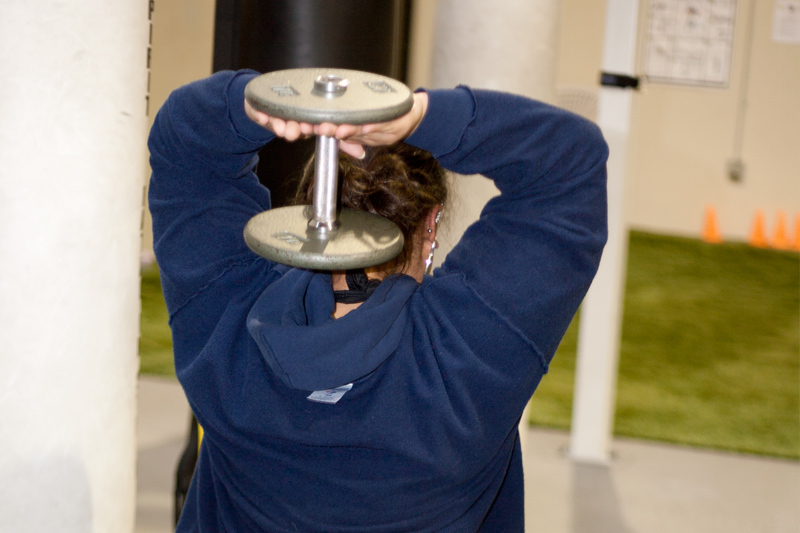 The primary function of the triceps is to straighten the arm or extend the elbow. Typically with strength training, you want to perform a high number of repetitions with a low amount of weight in order to tone a particular area. The opposite equation, a low number of repetitions with a higher amount of weight is better for bulking up in a particular area. Since flabby arms a common problem, you may want to consider using a higher amount of weight in this area to build muscle bulk. 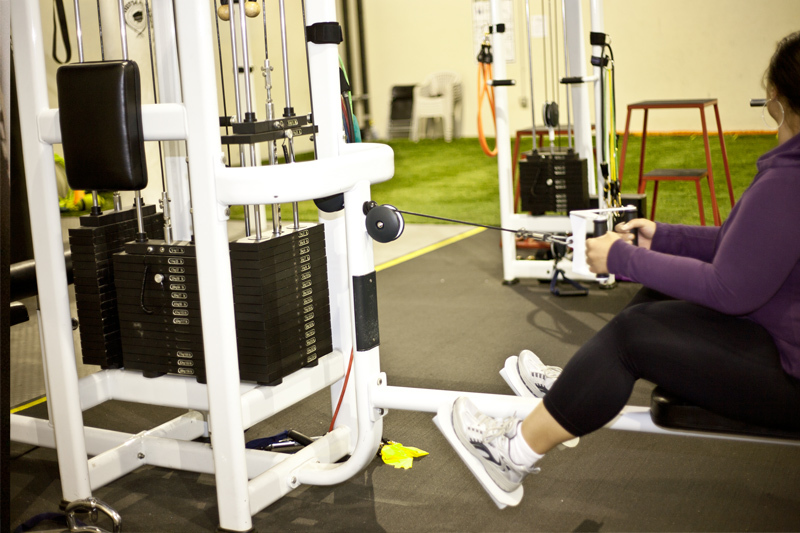 The inner triceps are best exercised using the cable pulldown technique. Make sure that your wrists stay in line with your forearms and that your elbows don't bend outward. You can vary the part of the triceps exercised by changing your hands from this normal grip to an underhand grip.